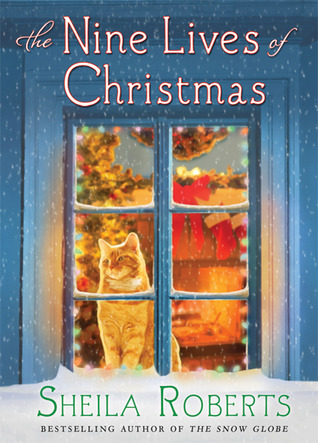 Bestselling author Sheila Roberts brings us a humorous, heartwarming Christmas novel about a matchmaking cat who brings a couple together just in time for the holidays.When a guy is in trouble, he starts making deals with his Creator…and Ambrose the cat is no exception. In danger of losing his ninth and final life, Ambrose makes a desperate plea. He’ll do anything—anything!—if he can just survive and enjoy a nice long, final life. His prayer is answered when a stranger comes along and saves him, and now it looks like he has to hold up his end of the bargain. 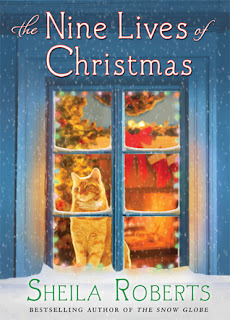 This was an incredibly sweet novel that is perfect for Christmas. Ambrose is a cat. He is a cat who needs to earn his ninth life. He sees his chance in Zach, a man in need of help with relationships. Merilee is Ambrose's choice for Zach, the reader will likely approve of this choice as well. The book really takes off from there. The reader will be entertained. Ambrose is funny and slightly reminiscent of Garfield. Zach is likable and Merilee does seem to be the perfect girl for him. The reader will enjoy watching their relationship grow. The events were fast-paced and always had a sweet tinge to them. The ending was perfect for this novel, wouldn't want a thing changed. This book is recommended for teen/young adult/adult readers. Thanks for the kind words Krystal!